GB: Can you give us a brief overview of the storyline surrounding Trials of Atlantis and where you currently stand in its development cycle? Matt: Right now we're just about ready to head into closed beta. We have many of the zones ready for testing, and we're getting the code ready to support them. The story of Atlantis is that the three Realms have each found a portal to the long-lost world of Atlantis, now half-sunken in the ocean and destroyed. The people of Atlantis, wise in the way of magic and power, realized that their civilization was going to be destroyed, and knew that some day a future culture would find the ruins of Atlantis. The Atlanteans wanted to be sure that their knowledge was passed on only to those worthy of it - so they built a series of obstacle courses into their culture, trials that future explorers would have to pass before they were granted insight into Atlantean magic and power. 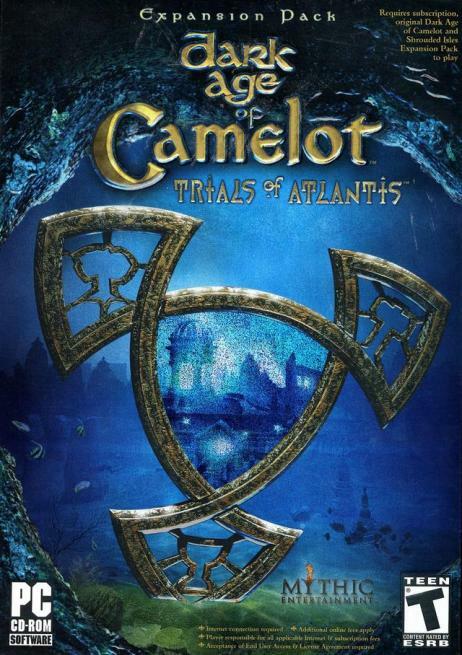 These are the "trials" of the "Trials of Atlantis". GB: At E3, we were told that the cryptic runes throughout the new expansion will need to be deciphered to help players advance through certain areas, etc. Can you give us a thorough explanation on exactly how the language will come into play? Matt: You won't be forced to decipher the runes, but if you do, you'll find more information about what happened to Atlantis, and it'll bring the backstory together in a number of places. GB: Tell us about the Master Levels that you'll be introducing in ToA. How will this advancement system work and what will players have to do in order to gain access to some of the new abilities, spells, etc? Matt: There are nine Trials and after surpassing each Trial, players are granted a Master Level, so there are nine Master Levels in all. At each Master Level, players are given new abilities that will make them more full-featured, instead of strictly more powerful. GB: Can you give us a description of the graphical upgrades players can expect after installing the new expansion? Matt: Yes, we have many new graphical upgrades in the Trials of Atlantis engine. First, all zones (including the original ones) have been given new terrain textures and startlingly realistic trees. The new Atlantis zones look spectacular, having been made with the new layered terrain textures and trees in mind. Also, of course, we now have underwater swimming, which adds a whole new dimension to the graphics of the game. We also have upgraded our interface so that it now supports different "skins", as well as has its functionality upgraded with scroll bars, re sizable windows, etc. GB: Will Trials of Atlantis introduce any dungeons shared by all three realms or any other additions that will give players more opportunities to participate in RvR combat? Matt: No, Trials of Atlantis is strictly a content expansion. We will be address RvR issues through our series of regular free patches, as well as a RvR specific free expansion. GB: How will the new boat travel system work? Will players be able to control their own ships, or will it work similar to the existing horse system? Matt: It will be a combination of both. There will be a "boat system" that run on a regular schedule between the various islands that make up what remains of the continent of Atlantis. Players will also be able to obtain boats and pilot themselves around the oceans of the expansion. GB: Can you give us an idea of what the new player races might be for any (or all) of the realms? Are you shooting for any particular racial traits, such as underwater breathing? Matt: Our new races mostly come from the back stories of each Realm. The Half Ogre (Albion), for example is the offspring of Avalonians and the Thrawn Ogres, which were introduced in the last expansion, Shrouded Isles. The stats for each new race have been designed to fill a "stat void" in that Realm, so now players of the different classes will have different stat combinations to play with. GB: Have you made any decisions on how characters will be able to breathe underwater for long periods of time? Matt: We're working on our underwater breathing system right now. No details yet. GB: Will you be creating entirely new zones for all three realms, or instead be using somewhat similar zones throughout the world? How much more area will the expansion add for players to explore, in comparison to Shrouded Isles? Matt: Each Realm gets to explore their "own" copy of Atlantis, which means that each Realm will explore the same size continent (approximately) as all of Shrouded Isles. There's a reason for why each Realm explores all of Atlantis, yet doesn't run into anyone from the other Realms - but you'll have to play through the expansion for an explanation of that. Again, we'd like to give our thanks to Matt and the team, but especially Matt for taking the time to update us on the specifics of Trials of Atlantis. We are all looking forward to its arrival.